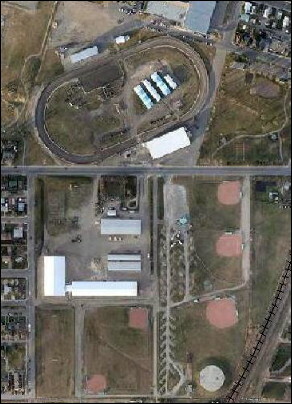 Since 1894, the Olds Regional Exhibition (formerly Olds Agricultural Society) has been an organization that town and country folk both participate in. Provide venue and facilitate events for our community, youth, agriculture industry and rural lifestyles. 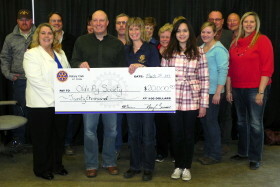 ORE promotes awareness and understanding of agriculture's vital role in our community. ORE strives to be the 'first choice' convention, rural youth development, recreation, agriculture, entertainment facility in Alberta by exceeding client guest expectations through professional, accommodating customer service. Any individual can become a member who is interested in the objectives of the Society, over eighteen (18) years of age, a resident of the province of Alberta and adhere to Policy 13-18 Member Code of Conduct. 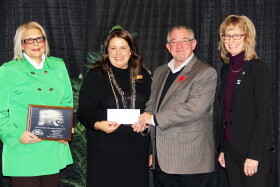 Membership fee in the Olds Regional Exhibition is $10 per year (Canadian funds), paid before commencement of the Annual General Meeting in March of each year. The membership fee entitles the individual to the full privileges and responsibilities of membership, including the right to be elected to office and vote in the election for the Board of Directors. OAS' core values and objectives have remained steadfast for generations; this is evidenced by the fact that we celebrate the involvement of three generations of some families in our governance and operations. These core values are Agriculture, Youth and Community. In contrast to this perennial stewardship, OAS is also mandated by the Board and membership to welcome the future with a genuine commitment to being sustainable in Financial Security, Ag-Industry Leadership and Community Vitality. 2018 Oldstoberfest - What a Show! Broncs, Lederhosen, Concerts & Bier! Big Rack Gets Naming Rights! installing asphalt on the floor surface of the Cow Palace. Facility Enhancement Program for the Cow Palace floor. 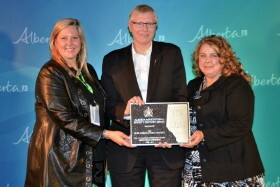 Pictured centre, is the Honourable Verlyn Olson, Minister of Alberta Agriculture and Rural Development, presenting ORE representatives, Events Manager, Tracy Gardner (left) and Executive Director, Tami Gardner (right), with the Alberta Agricultural Society Century Award on February 6, 2015.